Janice Simon is an Associate Professor of Art History at the University of Georgia, Lamar School of Art, where her teaching focus is on the art of the United States from colonial times through World War II. She received her M.A and Ph.D. in Art History from the University of Michigan. Professor Simon has taught a wide variety of subjects related to American art on both the undergraduate and graduate levels including American landscape painting. She has been honored with numerous teaching awards including the University of Georgias most prestigious distinction, the Josiah Meigs Distinguished Teaching Professorship. She has contributed to many art publications and periodicals including, Crossroads in American Impressionism at the Turn of the Century, and Classical Ground: Mid-Nineteenth Century American Painters and the Italian Encounter. She is currently working on a book on the image of the forest interior in American art. 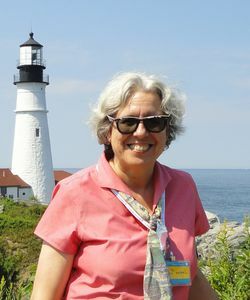 She looks forward to delving in to the rich history and dramatic works of some of Maines most famous artists, including three generations of the Wyeth family, Winslow Homer, Frederic Church and Thomas Cole. Ms. Simon has an enthusiasm for her subject which is contagious. Everyone really liked Janice! She was passionate about art and it was infectious! She was friendly and fun and always available to answer questions. Her lectures were very interesting and never boring. Q. What kinds of insights do you hope to convey to our travelers? A. The Art Along the Coast of Maine cruise is very much about the importance of location in the art of American painters. I seek to show how the coast of Maine with its distinctive rocky shores, ocean waves, pine trees, beautiful wildlife, dramatic skies, and copious lighthouses inspired both 19th and 20th century artists to devote many images to Maine’s natural drama and beauty. Looking carefully and thinking deeply about visual images has always been my goal in teaching art history and I find that Smithsonian Journeys travelers are eager to learn how to look at and interpret a work of art. Understanding an artist’s attitude towards a specific place can illuminate so much about a seemingly simple depiction of an ocean scene. I use an artist’s writings, philosophical interests, social and political contexts, as well as comparative works of art to tease out the meanings imbedded in a work of art. Q. 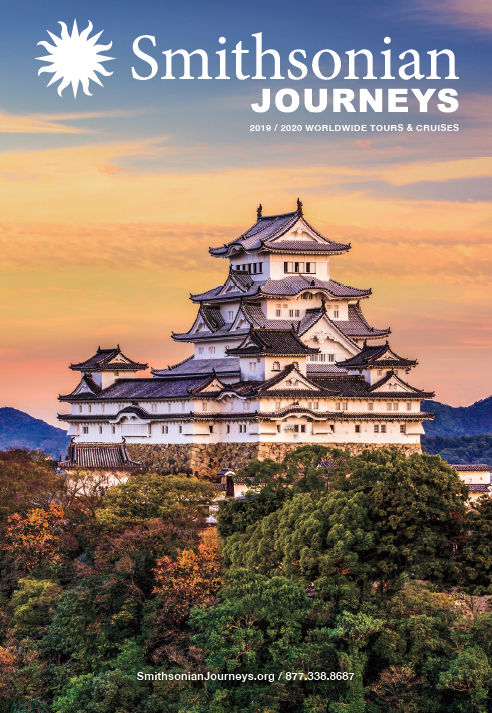 How do you infuse your Smithsonian Journeys cruises with your expertise? A. As an art historian who, for over forty years has studied and taught the artists we focus on, I bring a deep knowledge, but also a true love and enthusiasm for the art of those who turned to Maine as their subject. What I find equally exciting is that every year there are new exhibitions on display at the Portland Museum of Art and the Farnsworth, allowing me to share my vast knowledge of American art as we go through the galleries. Sometimes the shows focus on the artists I lecture about in my presentations, other times they exhibit related artists and offer new discoveries for our travelers. I love having to draw upon my years of research to point out interesting aspects of a work of art I haven’t seen before and to lead Smithsonian Journeys travelers to appreciate its qualities and explore its potential meanings. Q. What sort of topics do you like to include in your presentations? A. My presentations are centered around the role location plays in American art, specifically how the places we visit on the cruise inspired great American painters. Throughout the tour we explore specific artists who made each destination their home or focus of their work. In Prouts Neck, home to Winslow Homer, we begin our journey. Then we look at the innovations of Thomas Cole and Frederic Church who were the first to depict, with great seriousness, the landscapes of Mount Desert and what is now Acadia National Park. Before we arrive in Rockland to visit the Farnsworth Museum, with its large Wyeth collection, and the Olsen house, where Andrew Wyeth painted Christina’s World, we discuss the importance of N.C. Wyeth’s (Andrew’s father) own paintings and illustrations to gain a deeper understanding of his son’s images of Maine. The islands of Boothbay and our return to Portland bring us to the art of John Marin, Marsden Hartley, and Edward Hopper. Q. What do you enjoy most about accompanying Smithsonian Journeys travelers? A. Smithsonian Journeys travelers have so much knowledge, experience, and wisdom that I enjoy learning from them! Many have visited places that I hope to see in the future and I love hearing about their many life experiences. Even though I have traveled to the destinations included in Art along the Coast of Maine cruise many times, I still get excited every time because I get to introduce these sites to our travelers. They are so engaged in learning that their appreciation of my presentations and enthusiasm for what we see during the cruise is palpable. I love their love of discovery; it energizes me every time.